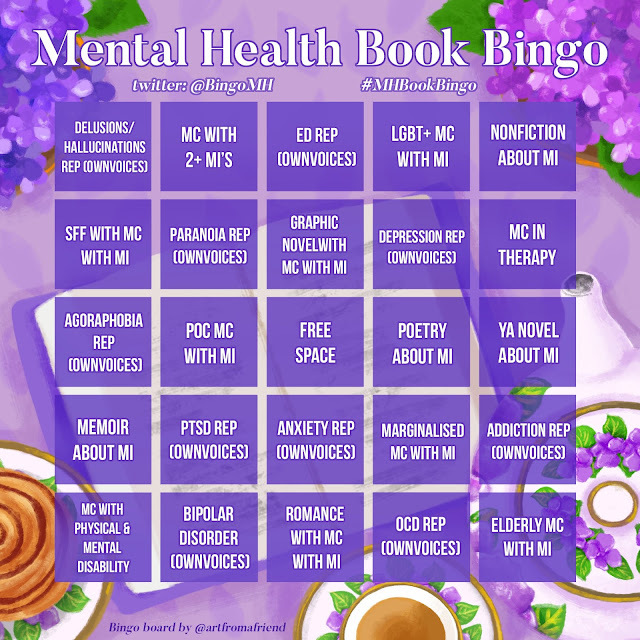 Reading to recover: ANNOUNCEMENT: Mental Health Book Bingo! 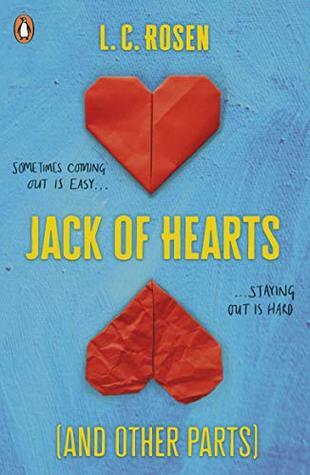 It gives me great pleasure to let you all know that in January 2018 myself and some bloggy pals are launching a shiny new readathon of Mental Health related books! The idea was put forward by the wonderful Wendy @ whatthelog and was inspired by other bingo readathons like Asian Lit Bingo. I feel absolutely honoured to have been asked to take part in this and we've got some good things planned so I'd love it if y'all could take part! BIG thanks to CW @ artfromafriend for designing this for us - isn't it beautiful! If bingo alone isn't enough to peak your interest then we also have a load of events planned for the month too. We'd love it if you could take part in our bingo! Make sure to follow @BingoMH on Twitter to keep up to date with what's happening and keep an eye on #MHBookBingo too! And also let me know if you're planning to join because I'm super duper excited! End note: I'll be writing my MH Bingo TBR some time in the next few weeks (probably) so keep an eye out for that if you're looking for some inspiration for what to read!